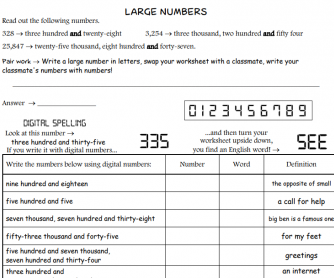 This worksheet will help your students practise large numbers. I particularly like the last activity because it is about wild endangered animals. 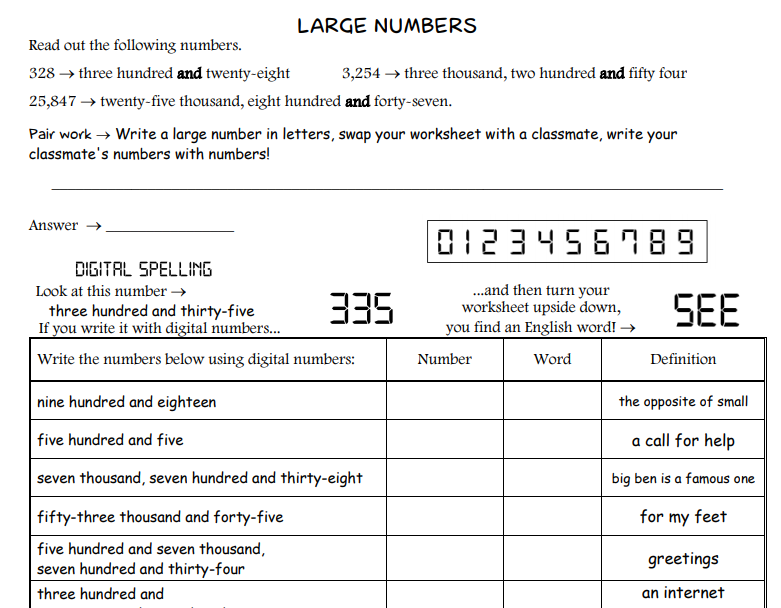 There is also a pair work and students have to swap their worksheets to read and write their classmate's big number. I also add a funny activity using digital numbers. Hope you enjoy my worksheet.